In a setback for Disney, “New Fox”, the entity formed after the bulk of the original 21st Century Fox was sold to the company, said in a filing Friday it has no plans to re-purchase the 22 regional sports networks, or RSNs put up for sale as part of the deal. 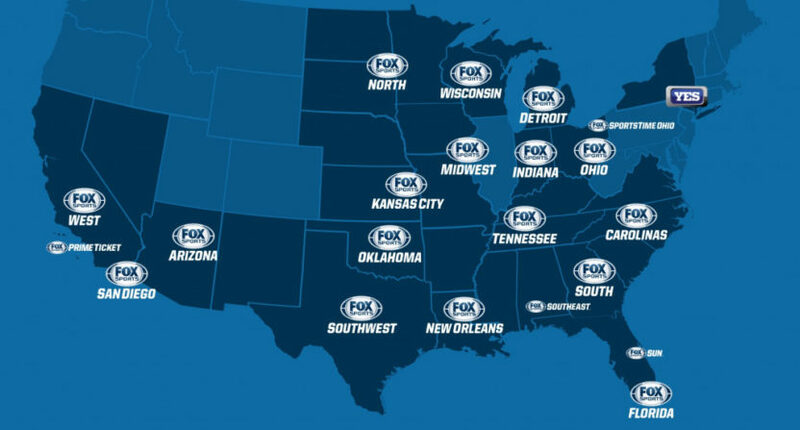 The Fox RSNs, which includes The Yankees’ YES Network, and RSNs in Michigan, Missouri, Indiana, and Minnesota among others, had to be sold as part of the deal with the Justice Department’s decision to sign off of the Disney-Fox merger. With much of the film studio and production company sold to Disney, “New Fox” will consist of Fox Broadcasting, Fox News, Fox Business Channel, the Fox owned-and-operated stations (including Chicago’s WFLD and WPWR), Fox Sports, FS1 and 2, and the Big Ten Network. One of the reasons why Fox passed on the RSNs may be due to the networks being a “slow-growth business” as more emphasis is being placed on streaming as more and more viewers are cutting the cable cord. With Fox dropping out, it leaves very few options for Disney as rival media companies are passing on the networks due to the same anti-trust concerns. According to several reports, only Sinclair Broadcasting is left as a possible suitor, who may have to partner with private equity firms to pull off the purchase. Sinclair has been mentioned as a possible partner in the new Cubs’ RSN, and according to reports the new network is to be named Marquee. But the team has refused to comment on the matter, leaving many in the dark on what would happen come 2020. While the RSNs provide live, local sports programming – something advertisers want, they lack the popularity of the NFL, whose games are broadcast by NBC, CBS, Fox, and ESPN as the popularity of the other sports leagues don’t even come close. Also, ratings for RSNs are cynical, depending on how teams are faring. Ratings for NBC Sports Chicago’s three teams they re-upped for – the Bulls, Blackhawks, and White Sox all declined in 2018 as each teams finished at or near the bottom of the standings. And with the popular Cubs out of the mix, it would be tougher for NBC Sports Chicago to gain any ratings traction even if the three teams improve. Given this, it is clear the allure of the regional sports network has faded amid changing fan and consumer tastes.